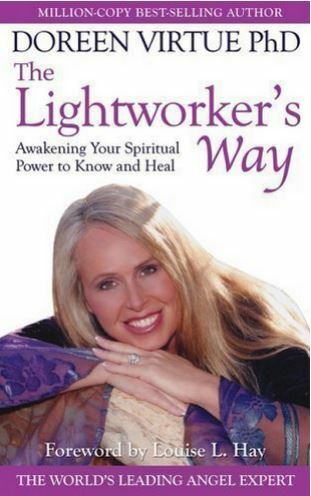 In The Lightworker's Way, Dr Doreen Virtue takes you on a spiritual adventure as she recounts her own life story of awakening her healing and clairvoyant power. You are a lightworker if you feel called to heal others; want to resolve the world's social and environmental problems; believe that spiritual methods can heal any situation; feel compelled to write, teach, or counsel others; and know that you are here for a higher purpose, even if you are unsure what it is or how to fulfil it. It was not an easy journey for Dr Doreen Virtue to acknowledge her inner calling and become a lightworker. As Doreen tells her own story of awakening her words will be an inspiration to the thousands of you who are on the journey of remembering your divine mission and discovering the natural spiritual skills you were born with. This book will help you to reawaken gifts such as the ability to heal on a spiritual and energetic level and to give readings about the past, present and future. Doreen Virtue directs you in conducting healing sessions, heightening your psychic receptivity, calling upon the angels that are always by your side and opening your third eye.